With team anglers Albert Castro, Luis Isias and Anibal Moya fishing hard and seeing lots of action, the 68-foot Paul Mann JICHI captained by Gene Lebron took top honors and a commanding 1500 point lead in the first leg of the Bahamas Billfish Championship in Guana Cay, April 22-25, 2015. Four blues, two whites and a sail! 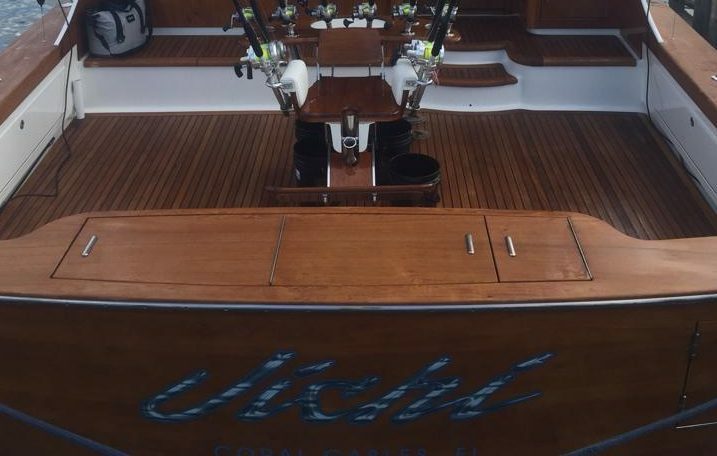 JICHI owner Luis Isias was top angler with three of the blues, a white and the sail. Next up in the BBC: Green Turtle Cay May 6-9. Keep it up JICHI!